A UEFA statement, released this morning, read: “The match will be handled by 38-year-old English referee Howard Melton Webb, who has been an international referee since 2005 and has officiated in total 47 UEFA matches in his refereeing career. What this says about the standard of refs in Europe, I don’t know. I happen to rate Webb highly, but of course in England we tend to slag of ALL match officials and focus on every little mistake they make. 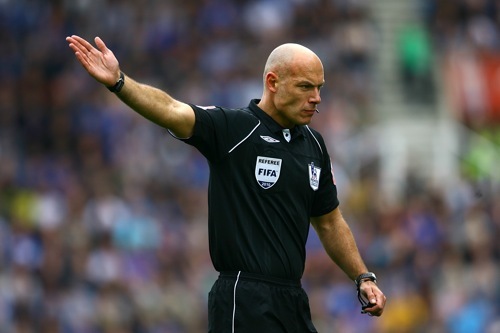 Good luck to him – nice to see an English ref catch a break. Clearly the Lord Triesman affair didn’t impact on UEFA’s decision. The good people of Poland will be less impressed, naturally.